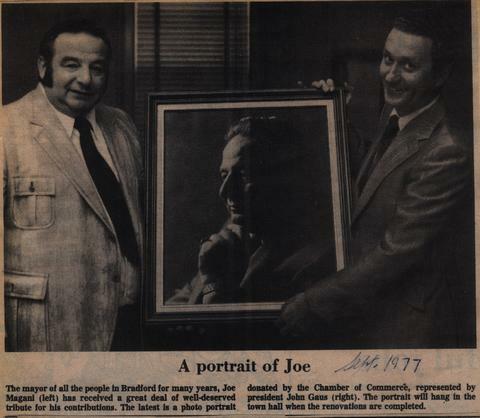 "The mayor of all the people in Bradford for many years, Joe Magani (left) has received a great deal of well-deserved tribute for contributions. 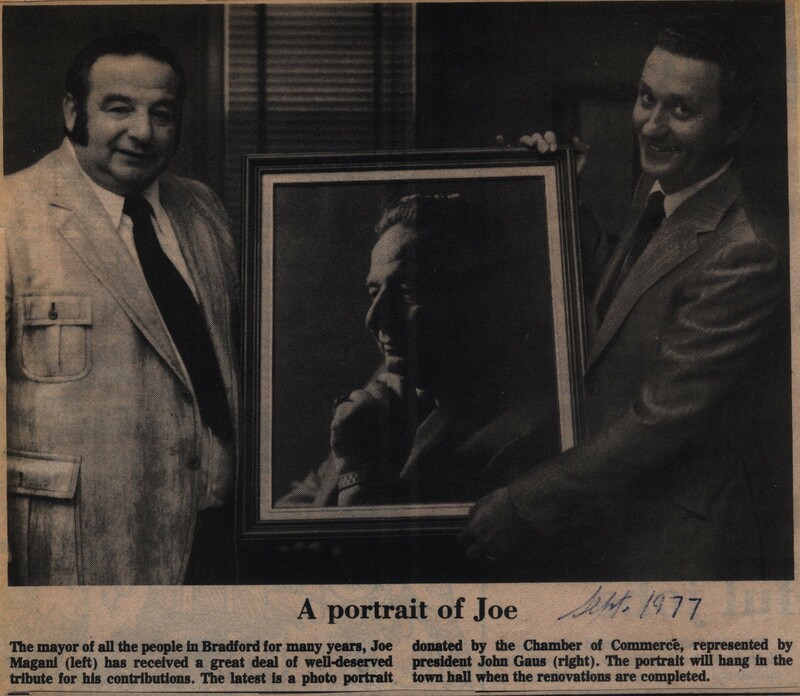 The latest is a photo portrait donated by the Chamber of Commerce, represented by president John Gaus (right). The portrait will hang in the town hall when the renovations are completed."